Open Innovation is a famous book, deservedly so. And here is the story of The Double Helix. It's about how a young American -- 23 I think -- and a fellow British researcher, decoded DNA ahead of their rivals. The young American was James Watson and the Brit was the 35 years old Francis Crick. They were barred from doing their own experiments somehow. Anyway, they were behind their rivals in terms of data. But they had a lot of experience in interpreting other people's data. For instance, someone did an experiment, got some results, and published or presented his/her findings. 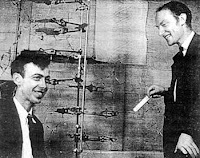 Crick and Watson understood, or could explain the results better than the researcher who really undertook the experiment. When you're lazy or late, you can often rely on their modus operandi. 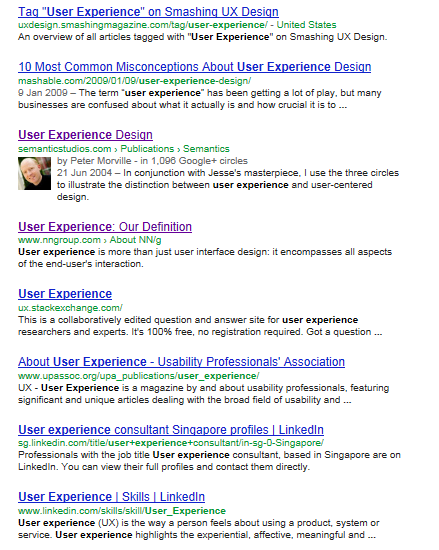 Searching "user experience" on Google gave this to us. Searching "product strategy" on Google gave this to us. Searching "software product strategy" on Google gave unsatisfactory results. 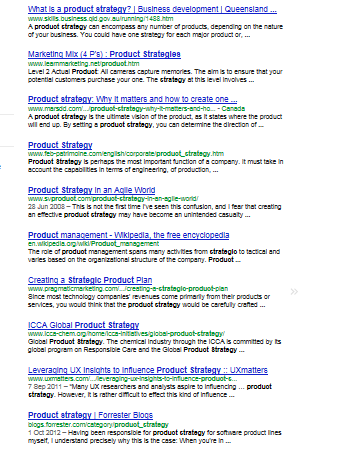 Searching "product strategy + software" on Google also gave unsatisfactory results. Searching "what new software to create" on Google also gave unsatisfactory results. Searching "how to think up new software" on Google also gave unsatisfactory results. Our conclusion right now is --- such topics are unpopular. You want your child to excel at something. Then you need him/her to practice a lot. But then, you want him/her to train on their own, not with you training them minute by minute, face to face, as in an animal training program designed by Skinner or Pavlov, or their modern-day proponents. Then you need to design the activities as a game. There are a lot of accessible gains, prizes, rewards, providing "instant gratification"
There are pains too but these pains are tolerable or very limited or easily terminable. That is, you can restart a pingpong/tennis/football/video game at minimal costs. Why have I Ching original texts and commentaries included such phrases? When a writer read 3 million words and wrote down only 3 words, the input ratios is 1 million. When the writer thought 600 minutes and spent 60 minutes to write down her/his piece, the thinking ratio becomes 10. The reader's comprehension/digestion/rumination ratio should be proportionate. A web page is a simple concept to understand, and that is why it caught on so fast in the first place. And our desires to interact with it are also simple. Say, there are a number of thingies ("a", "b", "c", "d", and "e") on the page and I want to take some simple actions on them e.g. ( "touch", "drag", "mouse-enter", "mouse-move-away", "click", "focus" and so on ). Thus, if I click "a" on the web page, I expect some reaction. Thus, if I drag "b" on the web page, I expect some reaction, maybe the same or something different. Very simple and very reasonable expectations. The function "loader" acts when something is loaded. The function "focuse" acts when something is focused. The function "mouter" acts when the mouse is outted. Does it take brains to write simply like that? Insist on simple, reasonable stuffs as a discerning buyer, on behalf of your own customers. Refuse to use, reuse messy codes. If you can find a John Resig, use his/her stuffs. If you can't, at least make and keep things simple for yourself and, above all else, for your customers. Polonius(in Hamlet) says of the Prince : "Though this be madness, there is method in it". Let's see how much that applies to our blogging style here. Is there a madness? Is there a method? Is there only one, none or both or something else altogether? Some years back I read lots of how-to blog books. I still update my knowledge base in this area on a continual basis. But then, I use my finger-tip feels much more than those rational rules. For the sake of search engine, a blog be at lest 250 words long. I just don't care. A blogger must establish a regular rhythm. I just don't care. A blogger must know her/his target audience. I just don't care. No body reads blogs anymore. I just don't care. No body writes blogs anymore. I just don't care. A blogger must get incoming links somehow. I just don't care. A write should edit, re-edit. I just don't care. Eric E. Schmidt, Google Chairman, admits in a Businessweek eulogy that Steve Jobs often made his decisions based on hazy, foggy, flimsy data but Jobs did make assumptions that are "never crazy." What crazy assumptions have I made here? People who never read sonnets, will never read sonnets. They should never be in my radar. People who seldom write sonnets, will seldom write sonnets. I will outlive, outlast such fellow sonnets writers. Any of my posts must be and is helpful to my readers. Target audience, my sticking to my core, etc -- I need not concern. A person can do nothing but stay in his core, not matter how versatile or scattered. e.g. Can I be bird or a fish? No! Whatever I do will reflect/represent/smell/taste/sound/look me automatically. Blogging is useful to both writers and readers. If you have better things to promote, you should save your energy to promote those things, rather than promote your blogs all out. I can write 10 blog post per day easily. But I will publish about 1 post per month and do somethings else in the remaining time. Is this useful? The time you lose in coming to my blog and the benefit you gain in reading this? Do they make a good balance/ratio in your favor? I cannot abuse you, trick you, harm you in anyway. Beyond that, is there any other blogging or moral or trade rule? I don't think so. Good luck! Great By Choice by Jim Collins is a terrific book. Wonderful, timely, and very readable and accessible! It is also very entertaining for the numerous anecdotes in it. The idea I find the most useful for me is being "empirical." By that, the author apparently means that your decision must have data to back it up, that you must have proof, reason other than and outside of your feelings, hunches, gut feels etc for any decision you make. He points out that great leaders can afford to be bold and to take frightfully big risks because they base their decisions on their own personal observations, not on second-hand research or heresy etc. e.g. (My examples) Steve Jobs's decision to run their own Apple stores, and (again) his decisions to enter the lacklustre tablet market with iPad. If you want to be bold, daring, decisive (and at the same time, responsible and not suicidal,) you need solid proofs, concrete data, undeniable facts, repeatable experimental results etc. Does it mean Data-Driven Decision-making? The author doesn't say much about this. But I would like to point out that whatever data, whatever amount and type of data, in itself, won't give you a decision. Data in whatever form or amount will not decide for you. Given the same data, two different committees can reach two diametrically opposite decisions. If certain data does give you a decision, then you are not making a decision, but following an order, a recommendation, or some other person's decision. I'm referring to IT's Great Power to Spark Changes by Nayan Chanda. Because I have taken time, this post will be very short. Distribution is getting better. You just write your content/app on your PC, phone, pad, watch, or shirt. Then, just press a button, and the world's population can see/use your stuff in a few seconds in their own devices. Even content may be getting better despite what Rupert Murdoch said here “Devices and platforms are proliferating but this clever technology is merely an empty vessel without any great content.” Since NewCorps alone does not have monopoly on content creation genius, content costs will come down. Imagine you can teleport your son/daughter to any library anywhere in the world, swiftly, safely, and cheaply. Imagine your kid can use all the library services/apps there for free. Will that make him/her any wiser, any more employable? This is a kind of brain-storming with myself, and thus they were jotted down in no particular order. to express myself in products, rather than in poetry, paint, dancing moves or tune etc. to father many a virtual world, where schools really behave like schools, kids behave like kids, lessons behave like lessons etc. to save kids from bad e-learning. Recalls what Bill Gates said in "Road Ahead": Bad processes, when computerized, do more damage faster! Oh, even that lowly robot is helpful and lovely, isn't it? "Just think about it. The hand will hit the target, the foot will raise and kick the target, all by themselves." Doesn't it sound as magical as the Law of Attraction folks? The I recalled what I often see in TV documentaries on wild life. Fish flying from holes to holes in their muddy banks. Fish climbing walls, scaling mountains. Birds diving deep into waters. Birds swimming across waves. But fish remain fish and never leave the essence of fish. So do birds. Apple engineers did study Jelly bean factories. But they are not turning Apple into Food and Beverage business. They were there to study how to make Jelly bean colors of their iMacs enticing. Adaptability doesn't mean scattering, splintering, dispersing one's time, attention and resources. The book I review now is "The Soul of Design: Harnessing the Power of Plot to Create Extraordinary Products," written by Lee Devin and Robert D. Austin. It is a profound book, reflecting the two professors' wide and deep readings in literature and philosophy. I recommend this book to students of product design and user experience. I am not going to summarize the whole book, which will take a lot of time. I am just sharing my own understanding of the core concepts of the book. 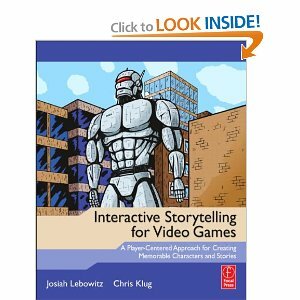 You should compare this to another good book "Interactive Storytelling for Video Games"
I happen to read both books at the same time. But that's not the reason that I put them side by side for review. The second book too is profound, in its own charming way. Just the last few paragraphs about "diversity" will give you enough encouragement to "focus on what you do best," instead of reading tea leaves as to which types of games or story or technology will dominate in the future. Do we hear echoes of Fire And Motion by Joel Spolsky? UX Introspection: Will You Get Noticed in an Online Discussion? Are you happy with all the online communities you have been to? What are your experiences? If you are a product designer, how would you improve or re-design such experiences? The most frustrating experience, I assume, is when you have something of value to add to a discussion and yet, your voice, your contributions are drowned out amidst the din. You feel, "Nobody is listening." You feel you cannot catch up with the volume, the rhythm, the flow. Online forums, discussions, conversations are not new shinny things any more. They have been in existence for decades. According to this Wiki entry, "Early web-based forums date back as far as 1994." And now we have dozens of such forums from phpBB, vBulletin, myBB to SMF, Vanilla and bbPress. If a community is active and thriving, it is usually because of the moderators, the elders, the statesmen,--- in other words, the people --- seldom because of the software. I'm illustrating such a user experience below. Say this is Alberta, Canada, asking its provincial residents about their opinions of education. They all agreed in the end that the goals of a good education are : moral, entrepreneurial, and technological. Below, you can see that the wise Yoda's voice is as weighty as the voice of the whole province. But will they hear it in this discussion? Will you also hear it? Will anyone even get the chance to hear it a few minutes after Yoda posted his comments? Yoda Education students make moral, able to make a living easily, and fond of science and technology. Blah3 Obama?Yada yada yada. I love Romney. I love Ryan more. They will make the current economy crises go away. Blah4 Obama had failed to create jobs. Though I love him still. The current economy crises will go away. Blah2 Right, Blah1. what about humanities too? Plato, Shakespeare? Blah1 what about religions? What about liberal arts? 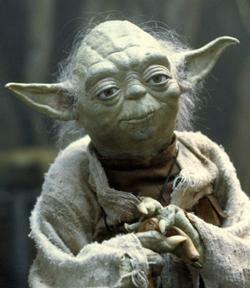 Yoda I think education should make students moral, able to make a living easily, and fond of science and technology. Blah3 Obama?Yada yada yada. I love Romney. Ilove Ryan more. They will make the current economy crises go away. View more comments/posts <--- Yoda's wise insights buried here forever! He won't complain, he won't suffer. He will just use his time more usefully, until our EthicMinds team designs a better discussion software. Added: we solved this in Product Strategy : Will You Get Noticed in an Online Discussion? I'm summarizing an article in The Straits Times on January 19, 2013: "Teaching Know-How, Vocational Skills Can Trump Varsity Education" by Ayesha Khanna. Workers need to acquire new skills to "manage robots and analytic products." Vocational education can provide "critical thinking skills" too. We need to digitize vocational learning. Then, I 'am a bit worried about costs in producing educational games, simulations etc. Aside: that book was Mao Zedong's childhood favourite and adulthood manual. Both version, 70 or 120 chapters, are good. Wing Chun somehow came from Shaolin. 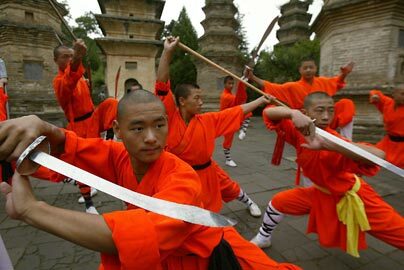 Shaolin was invented when China was "the center of the Universe." It is full of ornate, impractical forms like, tiger forms, monkey forms, snake forms, crane forms, drunkard forms, etc. Wing Chun was invented when China was under the Manchus. It is frugal, even miserly. It is total humility, total innocence, totally instinctive actions. Just as Ray Ozzie cannot forget his Plato System, I still miss my NUS IVLE Forum. There are a number of reasons for my love. Here I just shoot off just what comes to my mind right now. You can show off your hard work, deep understanding, your popularity etc there. T Harv Eker says, rich people or people who are getting rich don't mind sales or promotions targeting them. Good students and good professors enjoy other students or other profs showing off. I made some remarks about Enterprise Architecture or Integration. And a few days later, I got a 1-line question, polite but it exposed some leaks in my understanding of the topic. I dared not reply and rush to defensive arguments at once. I rushed to the lib near the canteen near our SOC(School of Computing), at that time still near NUH. Hit a a few books on the topic and replied on the Forum. A few hours later(this time, I was waiting for the reply anxiously), I got a 1-line question of the same nature and calibre. I hit a few more books and replied. This went on for about 1 more round, till I studied for about 2 or 3 whole days and replied well. I enjoyed it, it made me learn really well. Out group made a presentation on our business plan in class. I was not doing the presentation, some other members were representing us. At the end of Q/A, a pair of students asked something like: InfoSys or Tata will soon be doing something similar to what we were proposing to do. What will be our response? I ran down from back of the lecture theater to the podium to answer. But the prof and the time keeper said our time was up. Questtion: How do we respond if InfoSys or Tata are doing XYZ? The answer are in rapid-fire style: 3 or 4 sentences of 8 or 10 words each. 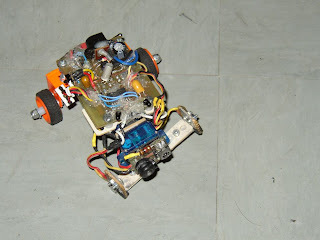 Later I heard some group members remark that my Forum bombs had raised our group's grade 1 or 2 notches up. Why Don't You Re-create that Atmosphere and Experience Somewhere? I leave this for you, readers. Can I learn software business the way my son has learned his English and the way I did my Maths? In his first year in Singapore, he was very lonely. I was at home in his sight all the time but busy and absorbed in my programming tasks. No friends, no siblings, not even another Myanmar near us. We relieved his loneliness with books. One book is about 10 pages, 1 page is about 1 picture and 1 or 2 words. The story makes sense even without words. Like Bee Smart, "Bee Happy" etc. After a few weeks, he got to Nate the Great, Cam Jensen etc. There were no grammar, no vocab, no phonetics teaching. No idiom, no teaching, no discussion, no Q and A, either. Maybe he showed us what he liked, he retold some stories to us. After 1 or 2 years, he got to "The Red Badge of Courage," "The Burmese Harp," Roald Dahl etc. After 1 or 2 years, he got to Sun Tzu at Gettysburg, Judo Strategy, "Psycho-Cybernetics," Paul Krugman, David Brooks, The Ethics of Belief, "Calculus Demystified," "Python for Beginners," "jQuery Animation Techniques," and a few other technical books. He can read whatever he needs to read. I read Maths like we usually read newspapers. If I understand something, fine. If I don't, forget it. If a chapter looks very complicated, forget it. If an explanation, or an example looks very complicated, forget it. If an exercise looks tough, read the key. If the key looks tough, forget it. It's a lot like shopping every day with a small amount of cash. If I can buy, buy. If it's out of my range, forget it. When the price comes down, buy. Tell that to Aristotle, who extols the virtues of daily actions and good habits. Tell that to Warren Buffet. Tell that to InGenius 's author. What I was doing was what she calls "Expedition." I was touring and shopping the Maths land. In most life-changing exams in my days, my Math score averaged around 99 . No homework, no tuition, no extra class, a lot of football, a lot of hormone-driven touring, a lot of fooling around, and so on. But if you are over-working, working less may be the cure. If you lack routine and daily exposure, structure may be the answer. And good habits are foundations of every good maths, good English, good software, good business. Once you have the right goals, do they materialize automagically by themselves? Yes, to some degree, but you still have to work. Then, how do you work, work day in and day out, without confusion, fear, and despair, but with clarity, confidence and energy, and even with a bit of joy? One of his axioms was, Despise the enemy strategically. But show him a lot of respect when it comes to tactics. Sven-Göran Eriksson, one-time English national football team manager: Great strikers BOTH dare to win AND dare to fail. Thus their comfort zone gets stretched from both ends, top and bottom. Buccaneer Scholar Keep your aspirations high but keep expectations low when studying. Executive Toughness Define your outcome/end result goals sharply. But day-to-day, concentrate on process goals. Entrepreneurial Instinct Have a big picture vision, which is your road map. But to keep going, you need a motor, which you get from firing your dopamine centers in your brains. And the best way to activate those reward centers in the brain is by achieving small goals now and then. What about the Seven Factors of Enlightenment (Pali: bojjhaṅgā)? What are we supposed to do when our mind is lethargic, or when it is hyper-active and agitated? Water Margin (or Outlaws of the Marsh). This was Mao Zedong's childhood favourite and adulthood manual. Both version, 70 or 120 chapters, are good. Romance of the Three Kingdoms, 4-volume version and 10-volume comics version. This was also Mao Zedong's childhood favourite and adulthood manual. Water Margin methods are good for rebelling against your own emperor, but not against the Mongols! Zhuge Liang was so full of ruses and stratagems that even Sima Yi had to admit a few times that, "Zhuge Liang is a genius," "Zhuge Liang's methods are out of this world," "I am no match for Zhuge Liang" etc. Still, Sima Yi won. Thus, Zhuge Liang's methods are good enough to win battles, but not wars. No wonder, Carl von Clausewitz didn't think much of initiative. People and organisation seem to have an incurable amnesia. One day they say, "Software is king". The next day they say, "Software is commodity". And this pendulum swings go on and on. What is the truth behind this hype and reverse-hype? 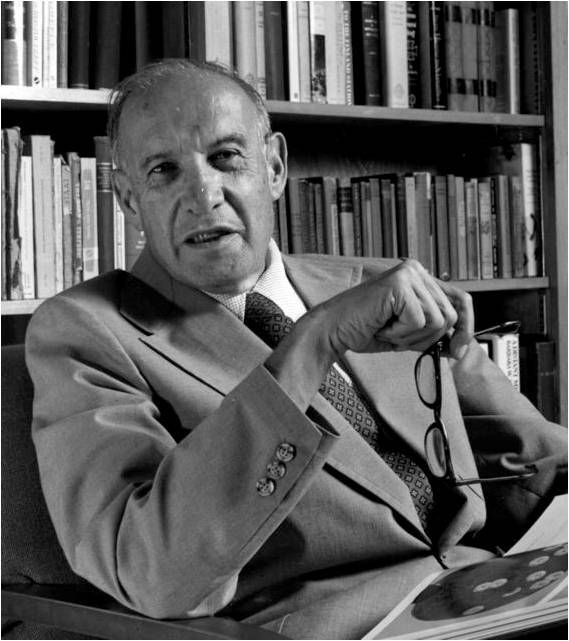 Drucker has famously said that the IT Revolution has not even started yet. He described how printing business gave rise to publishing and other businesses and predicted that IT will give rise to many unforeseen industries. Drucker also believes that IT will become like movie industry. By extension, it will be like publishing industry too. Do we, small guys, still have a chance? Do we get access to technology, market and capital? Can we mount a realistic challenge to Hollywood? e.g. Hong Kong, Bollywood, K Pop, J Pop, etc. Can we pose a challenge to New York Times, Wall Street Journal? Or do we need something like Chinese Government's multi-billion media initiatives to make any inroads? Can the next Harry Porter occur in Indonesia? Can the next Avatar come from Vietnam? Do we need a Silicon Valley or a Chinese Government to do well in the software market place? I still believe we have a chance to become major players in software business. Because change is a constant and it is our friend. Or as our friend, Ko Moe Thu suggested, because we create changes that will stack the odds in our favour. First, you can't say, "It doesn't apply to me. I don't want to lead." Second, saying "I won't lead" is exactly like, "I won't decide." Choosing not to decide is a decision after all. Third, as in "Planning is essential, plans are nothing," you need to know whether you are being led at all or not. Remember Kerry Mullis's "Who is minding the store?" You think someone is leading you whereas the truth is nobody is leading you. Such situations are not so uncommon and then what are you going to do about that lack of leadership? What is a leader supposed to do? A leader is supposed to lead. Huh? Lead who? The followers or him/herself. Lead them where? To what? I used to ask my honors classes, "Go to libraries, read, ask whatever you like. Then come back and read Paragraph 3 of Page 2 of my handouts. You'll see no one has thought about this before I did." If this is an easy question, the answer should show in the first 10 pages of Google search results of a number of synonymous search terms and phrases. Why not try it now yourself? If this is an easy question, the answer should show in the first 10 books of a number of categories in your libraries. Why not try it now yourself? What is a leader supposed to do? Where does s/he lead the team? 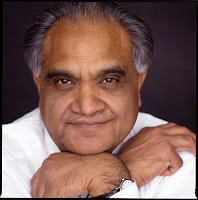 Ram Charan : R = MV, something. Maybe he means revenue or return. Jim Kilts: (He qualifies his remarks as only suitable for consumer products) Do the top of P&L, then go to the middle, to improve the bottom. He means increased earnings. Mao: Get and keep power. What about political, educational, military, non-profit leadership? Please read, at least, the Jataka stories. May you be able to lead comfortably and confidently yourself and those whose livelihoods depend on you. Hey guys. I'm a techie. I've built a few websites, although I'm interested in learning more about the business culture and how I would be able to run a successful technology company. First, I'll scare you. But don't worry too much, I have some answers you can choose from. (1) The first few partners/hires will determine your company's DNA. (2) Stock options, company laws, remuneration packages, contract laws will take you 10 years to study and 10 more years to understand. (3) Lou Gerstner: Culture is not part of the game, it's the whole game, from the CEO's point of view. (1) Matsushita : Out of billions of humans on this planet, how many hires do you want? (2) Only 1st time treps want partners. After their first, whether they fail or succeed, they don't want partners any more. (3) E-Myth Revisited : See an opportunity/biz as a product on a store shelf. If OppA requires partners that you cannot find, why not wonder up another Opp that doesn't? (4) Find poeple you can trust, advice of so many books. This is not difficult. just fail faster. (5) HBR -- Kiva the Disruptor article : If no trust, reduce theri risk and your risk as well. (6) "Code is the best junior developer," some one says !!! In writing school essays, having something to say and saying it in a clear, concise, organized way is more important than a superb mastery of grammar and a ultra-rich vocabulary. Here, I elaborate on "having something to say" part. I believe adults too struggle with this issue. Be aware. Know your thoughts and feelings about the topic in the Question. Follow them bravely and quickly. Collect them in a clear/simple order. Collect our thoughts and feelings about something. Will this work for adult/corporate/professional world? I can easily whip up hundreds such links here. It will take you hours to read them all, hours more to spot the gems scattered all over the places, and more to take and digest your notes. I want to save you time and hassle. Here, I give them away in just 3 sentences. Know thyself, especially, thy thoughts and feelings. If they are in the same-old same-old areas/zones/routes/channels/domains, break free from them by leaving them alone or jumping out away from them. Collect your new thoughts and feelings bravely and calmly. I keep using the word "brave" here and there because bravery is required to think honestly, feel honestly, and capture the thoughts and the feelings honestly. That is the topic of a future post. Product Strategy : Will You Get Noticed in an Online Discussion? In a previous post, we described how bad contributions crowd out good ones and how good ideas get drowned under the overwhelming weight of bad ones. Here we're going to make some design suggestions for this problem. From the perspectives of both product strategy and user experience. Just yesterday, we read Team Geek, by 2 famous Google engineers. When they were developing Subversion, they had a similar problem. In their email list, they found that just one participant was using up 70% of the core project contributors' responses. They concluded that their "energy and focus were being sucked away"(on page 98 of the book.) by this single participant. They were discussing technical details of an open source version control system. The percentage of population who can and will join such a discussion, is severely limited. Imagine who and how many will join if we discuss such general topics like, "Goals of National Education," "Meaning of Life" etc. Parkinson(of Parkinson Law's fame) had to say this: Whether to open a 5-million-dollar plant can be decided in 5 minutes. The decision as to whether to open a 500-dollar canteen or bicycle shack needs far, far more time, simply because there will be more participants. It was then, now is many years later. And they were not Forum business. Developers in Forum business can do better. and Gamification drives user reputation and abilities. You're right if you decide not go full AI. Still you can use NLTK or other tool kits. You can word-count, check themes/sentiments behind forum posts, group/cluster posts similar in tone or content, and so on. You can check who are posting most, most frequently. You can alert moderators or other users to check the quality of such participants' contributions. You can stall or ban such participants. At least, you can tweak your user interface to crowd some posts while elevating some posts at the same time, and you can do it randomly. Sigh. TRANSLATED FROM THE PALI BY VARIOUS HANDS UNDER THE EDITORSHIP OF PROFESSOR E. B. COWELL. Just 3 perspectives should be enough. A maxim in this field is, there is nothing new but history we do not know. All successful battle field commanders cannot do without a firm spiritual faith. 80/20 Rule: If you are sure about 80% of your business or If you are sure about your business 80% of the time, you are okay. Or else, you need to do something about it, such as building a system to run your business, delegating more, or even breaking it up into smaller, more manageable pieces, etc. Shall we teach kids change and volatility, or stability, history and the First Principles? Steve Jobs once said that he's proud of products that he had done and maybe even prouder of products that he had chosen not to do yet. According to Bootstrapping Your Business: Start and Grow a Successful Company with Almost No Money, searching for business opportunities and great products is like mining: out of 10, you get 3, and out of those 3, you dig into 1. Is thinking up new products tough? Is thinking up thesis topics tough? Thinking up thesis topics is(well, at least, was) easy. 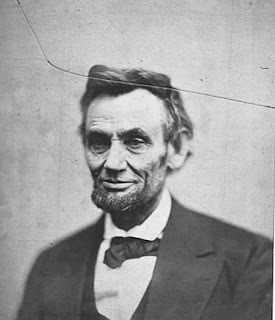 In academic world, if Student Number 138765 has registered to do "Abraham Lincoln's Logistical Problems in the American Civil War," the prof won't allow me to do that. In real world, after Friendster, MySpace, Facebook and Google+,(if I chose,) I am still free to do MyFriendsterSpaceBook+, right? In academic world, the devil is in the details. In real world, it is even more so. All Intuit founding team needed was the "47th mover's advantages." Then, Mint.com that Intuit bought out must have "57th mover's advantages." Online banking, online teaching, social networking, job sites ... are all today's offerings 100% complete, perfect? All the necessary inventions have been done? As Mr Henry Ford remarks, whatever you think is right. Now, I am writing letters to Singapore software development companies, asking them to customize Moodle for independent private tutors. Moodle is too good to be let go to waste. And it is easy to customize. But then, the devil is in the details, and even more so in the software world. I used to be a university teacher. At that level( and maybe in our country), the main pressure came from the management and the government. I think that that is true in most countries. How lucky to be a uni teacher? Except in US and UK. In US, a few Nobel laureates, esp, the economists, would keep complaining that uni degrees and diplomas are tickets to jobs that don't exist anymore, so-called "degrees of deception", or that education has become just a transaction where customers (previously known as students) are kept satisfied while being prepared for job markets. Common people don't go to unis, don't know what uni teachers do, and thus usually leave uni teachers to their own devices. The situation becomes tougher for teachers as you go down, the toughest being in the Primary school levels. There every parent becomes an expert. Almost all of them have primary education and so they presume (or assume, not to show my bias ;-> ) that they know to how to teach, test, do syllabus. do curriculum and more. They have a longer format for their mental video. 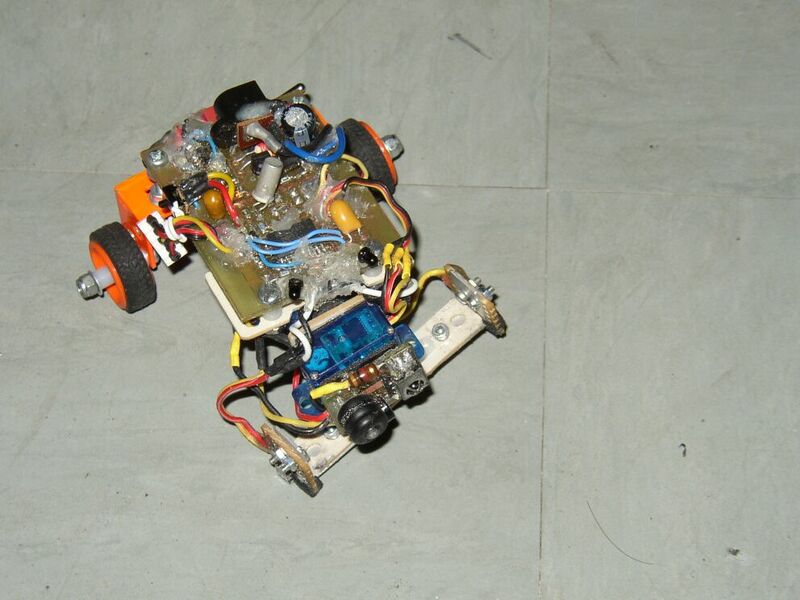 The most daring, the most can-do of such parents will offer to demo, to do a prototype, to run a pilot, to run a trial etc for their kid's classes. 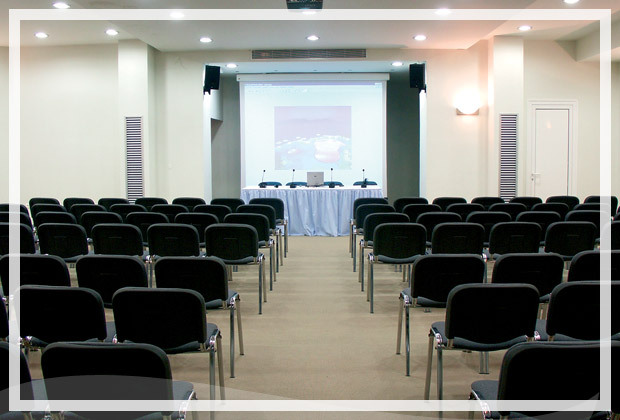 For the demo class, they will read up in depth, compile important insights, exploit excellent methodologies, perform tirelessly etc. The school, the admin, the teachers themselves should encourage such enthusiasm. Let these parents do their demos. How long is a demo class? 2 hours? Ask them to repeat it one more time for the day. Ask them to repeat the day for a few more times for the week. Ask them to repeat the week for a few more times for the month. Ask them to repeat the month for a few more times for the year. When will their smiles become forced and weary? When will they start losing their temper? When will their explanations and answers become curt and vague? When will they start to feel like Tom Cruise acting out Top Gun on stage? He has to fall in love, defend his family honor, mourn his buddy's death every night for a dozen of days in a row? Will he, will you stay fresh? The next time you want to criticize (or advise, to hide my bias) a teacher/school, play the classroom scene with you as the principal teacher for at least 200 times. If your method is still fine in the 201st show/run, please let us hear your method. Or else, please keep it to your self as a souvenir. James Kilts, former CEO of Gillette, answers: seeing targets and mobilizing people to hit them. It is no wonder that Warren Buffet said of him as one of the businessmen who gave him "No baloney." What if your targets are wrong? What if you didn't see so clearly when you set up those targets? Deng Xiaoping suggests ad hoc solutions and "groping for stones to cross the river." Mao Zedong when he was still good, was caring. He said good-humoredly of his troops that The Red Army soldiers are good at running. Myanmar history has also taught us that leadership is all about clarity, options and risk management. Leadership needs to be developed and exercised at all levels in our time. I hope my short list of just 3 items has helped you in your leadership journey. We have tightened our focus on helping students learning English as a foreign language, and young students struggling with their English homework. We specialize in WRITING. We guarantee you a solid foundation in Grammar, Style, Sentence Structure, Word Choice and Common Essay Topics. You can start writing by using our Type/Templates. They provide you with step-by-step guidelines and examples WHILE you are writing! Not after you have done writing, nor before you have started. Your Written Works will be saved for you. You can view and/or edit them later at your leisure! 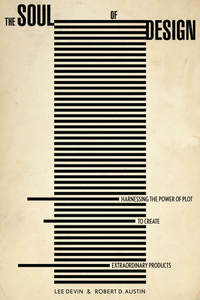 You can print out any written works on this site, your own as well as those written by others. If you cannot find a Type/Template you want in our list, you can ask us to do it for you . Just tell us what you want ( purpose, type of examination or test, how long you will have to write, difficulty level, and so on.) We will create a new type for you the way you want it, in 24 hours. Our types and templates are varied and rich. If you wish, we can cover from Primary school, to GCE, TOEFL/TWE, to SAT, GMAT, GRE, to whatever ! However, as we have said, we need focus to help our users more effectively. "You Have Low Self-Esteem, Watch Out!" In Linguistics, a one-sentence counter-example is enough to destroy an elegant linguistic theory. Here are many counter-examples to some conventional wisdom of Psychology. Will psychologists change their minds, their models? It is defined to be something to do with how much you like yourself, respect yourself. how much you deem yourself deserving/worthy of happiness and success. What Happens When You Have Low Self-Esteem? Since you don't love/like yourself, you demand/hog love and like from others. Since you don't respect yourself, you demand/hog respect from others, become sensitive/touchy. Since you don't deem yourself deserving/worthy of happiness and success, you will self-destruct one way or another. Even your pursuit of pleasure may be self-punishment in disguise. Since you have no control over yourself, you become controlling. According to David J. Lieberman(either in Executive Power or in You Can Read Anyone ), When stakes are high, the person with low self esteem is mostly to make bad choices. When stakes are high, the person with low self esteem, high confidence, poor moods, is mostly to become stubborn. Exceptions Prove the Rule. But Are These Exceptions? Many a government has studied and reported on Hitler's psychology. No one has proved Hitler mad, even in his final moments inside the bunker. (I am always amused by such reports.) He liked himself. He loved himself. He respected himself. He believed himself worthy of any glory. By definition, he had very high self-esteem. Then why did he punish himself in the end? Why did he make bad choices? Why did he become stubborn? Or he had proper amount of self-esteem when he was successful, and improper amount of self-esteem when he was unsuccessful. Then what kind of explanation, model, theory, discipline is that? This is not an exception. Consider Madoff, Enron CEO/CFO, any gang chiefs. Shall we just claim that their self-esteem were okay until they got caught? What kind of explanation, model, theory, discipline is that? Does true success, happiness, peace result from being psychologically healthy or from being moral/ethical? Exceptions Prove the Rule. But Judeo-Christian Psychologists May Never Understand These Exceptions. Some Buddhist monks I met were very sensitive about disrespect, even disrespect to their buildings, compounds, yards, grounds, etc. Some monks in the Scriptures were just as sensitive on this count. "Why can't he forgive the young monk?" "Nobody knows he got insulted." "Insult only in the mind, no big deal." "What an old fool with what a low self-esteem!" "He's playing mind-game on the young mink." "His warning is mean, hate-filled, malicious, out of proportion!" "He's showing off his powers to read other people's minds." "What an easy target for psywar harassment and provocation!" These monks had low self-esteem? They demand respect because they don't/can't respect themselves? They are over-controlling because they feel inside controlessness over their own selves? If you cannot judge even Hitler, which is a very clear-cut case, you better leave these monks alone. You better dust or tweak or overhaul or dump your own tools. A monk's scolding is very sweet, merciful and beneficial. Hitler's praise, friendliness, respect are blood-stained, murderous and ill-fated. Sometimes psychologists need a lot of humility. Buddha remarks that the external or natural worlds are no match for the complexity of the mind. 'Dumb' and 'drunk' combination does create many an amusing anecdote. Also see How to Sharpen Judgement by Bertrand Russel. Will Google's algorithms recognize this as a good post? Fat chance! Maybe, blogging is a big waste of my time. Fun and Efficiency can stay separate.e.g. I can have fun without efficiency. Or I can be efficient without any fun. But, Fun and Efficiency do not necessarily mutually exclude each other. e.g. Fun can be efficient. And Efficiency can be fun. Fun and Efficiency must balance against each other and against other factors as well. Playing football for 3 hours a day? No time for study, for helping parents? Play same old same old styles, tactics, techniques? Then, we become not only poor students but also bad, lame football players! Life cannot be full without being mindful. How do you keep remembering that? If you can answer both clearly, you can be confident that you have discipline. Also remember how Steve Jobs once prevented his engineers from taking notes during one of their meetings, insisting that engineers would not forget whatever was really important. True, we seldom forget our true priorities. If your desires are strong, they will reveal themselves to you clearly. And you don't forget any of your strong desires that easily. Just watch yourself a bit more closely. This is the late Peter Druckers' famous question. I want to be remembered as someone who successfully digitized several aspects of teaching and learning, who has reduced wasteful learning of all kinds at all stages of life-long learning journey. 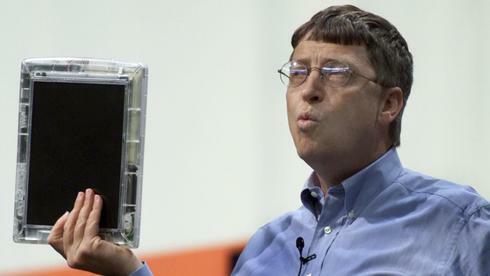 As Bill Gates once remarked, many people before us had tried and failed: radio, TV, CD, elearning, ecourses. A few years down the road, we may also add the recent phenomenon MOOCs(massive open online courses) to the list. They were perhaps too ambitious. If we aim for partial but useful solutions, focused micro-solutions, we can have a better chance. Perhaps, we can find out many a sweet spot along the spectrum of teaching and learning. Perhaps, we just need a better business model, where incentives are better aligned. As ever, I am optimistic. We may not come up with a Silver Bullet. Yet, small incremental improvements, when they compile, can make a real difference for all concerned: teachers. students, trainers, trainees, learners, parents and the society as a whole. Michael Cunningham , winner of the Pulitzer Prize for Fiction in 1998 for the novel The Hours, gave a lecture during the recent Singapore Writers Festival. Every novel I've ever written, at a certain point, falls apart. Just disintegrates before me. Usually before page 100. It becomes clear to me that this is a bad idea, a silly idea ,.. It is for sure, a big, fat mistake. What I began to realize is this: When a novel just turns to ash in front of you, it is not necessarily revealing its hopeless inadequacies, but defeating the little idea that took you into it and becoming something else. The novelist writing at leisure can afford to throw away the first 100 pages. What about the student writing under severe time pressure in an exam situation? S/he must test-write in mind only, and only in outline form. Such as traditional outlines, mindmapping, free association, or some other personally-tested methods. The more pressure you feel, the more you need to plan and to plan cheaply. And like, Cunningham, be open to the emerging new and better essay in you. I am referring to The Secret by Rhonda Byrne, 2006. The book is studded with gems. The only distraction is that each gem comes inside a haystack of its own the size of a mini-bus. Here, I present you these gems without any distraction. I'm going to write a series on the Secret in coming weeks, drawing on my own experience and those of my clients. 1. Like attracts like. Focus on the things you want, expect them. 2. Love, or gratitude can change your emotions, which in turn will change your thinking. 3. Sharing, feeling happy now is the fastest way to bring money into your life. Ask, "What is my joy?" 4. Treat yourself with love and respect to get people who love and respect you. You need to ponder each point carefully and deeply. You must create meaning for yourself using your own experience. These ideas sound quaint, archaic, mystic, occultic and unscientific. But they work, and since they work, they must be deemed "scientific" in their own way. At least, you can give them a try for a few days, and see the results for yourself. It doesn't take faith, only patience and willingness to try, to get the results. Craig Mundie, Microsoft's chief research and strategy officer, during a recent visit to Singapore, shares these pithy business and technology lessons with us. Before I discuss his lessons, I suggest he/MS change his job title to "chief strategy and research officer". That they have not done so already implies that they haven't learned or taken their own lessons seriously. MS has 900 Ph D scientists., "the world's largest R and D unit." It has many very strong and cutting edge technologies. MS was sort of the first to invent tablets and smartphones. MS failed to exploit their pioneering inventions of tablets and smartphones in early 2000s. The products were "heavy" or "cumbersome." MS failed to do "great execution in some categories " of their product lines. Specifically MS failed to coordinate different research groups, to design lusty products, to market well. Now, why is Mundie still called "chief research and strategy officer"? Is research still more respectable than strategy in our beloved Microsoft? This is , in part, in response to the comments for our Ruby Tutor's Ruby Meta-programming series. Many commentators have suggested that we also try out their favorite programming languages such as Lisp, F#, Scala, Clojure etc. When you are in Munich, speak German. When you are in Paris, speak French. When you are in Osaka, speak Japanese. All very fine. We have no qualms about switching languages provided we have fluency in those languages. Does the parallel hold in software? Write PL/SQL here, code in SQL-92 here, use hibernate here, employ iBatis here. Use Java there, code in C here, write PHP there, write Ruby here. Does the parallel really hold in software? I don't think so and here are my reasons. Our attachments to our chosen programming language is far stronger than our attachments to our mother tongues. We switch our human languages depending on who we are talking to. We do so without second thoughts, without hesitation, without discomfort. We are more rational about the human languages than about the programming languages. Andy Hunt and Dave Thomas of Pragmatic Programmers have suggested a practical solution to this over-attachment: Learn a new programming language every month. My solution is an easier variation of that. In my method, there is no need to pick up a new language every month, year, or even every decade. But when you pick up new ones, don't limit yourself to one, pick up as many new ones as you can. When do you need to pick up new languages? When your guy/gal is giving you trouble, when you start to feel pain. Example: the language is beautiful, the framework is beautiful, but you cannot deploy your app using them. Don't suffer the pain, switch. When you decide that your guy/gal is perfect and that you cannot imagine your life without him/her. No one is perfect and s/he will forsake you someday and thus you'd better start finding some substitutes now. What new languages do you pick up? Since you are head over heel in love with this particular language, find as many languages similar to that one as you can. You love it because it is a Functional language? Find 3 or 4 other Functional languages. You love it because it enables you to write very small, compact programs. Find 3 or 4 other languages with such concise syntax and conventions. You love it because it runs on JVM? Fine 3 or 4 other languages that can run on JVM as well. Just after a few days each with Scala and Clojure, our Ruby Tutor has cured himself of his severe case of Ruby infatuation. Of course, he won't start using Scala or Clojure next week or month. He may not even use them at all. But he now knows he can hope for something Ruby-like if Ruby and its frameworks really prove nasty and stubborn. He won't grovel, kowtow, degrade himself, but switch, or wait, or both, or something else. Fall in love, it's a fine noble sentiment. But not madly, not with the wrong types. Well, go ahead and pick up at least 3 new tools! Some time in August 2012, or earlier. We were doing Calculus just to test how cool my Primary 5 son can be in the face of some supposedly "scary" problems. We did check out books at our Popular stores. In Singapore, Calculus is taught in A Maths in Secondary 4. The textbooks, the workbooks, the supplementary books there did not foresee customers like us. We did find Business Calculus Demystified, a wonderful book, a great one. But it didn't meet our requirement of " just 1 or 2 hours." We kept looking till we found "Calculus Made Easy." The photos were taken form "Calculus Made Easy" the 1998 Edition's introduction by Martin Gardner. By this time, we, both father and son, were very cool. We know more relevant branches of Maths, other than Calculus. Tough big books are not our problems, but the problem for the authors and the publishers. We can bypass them with cooler nicer books. He tested his understanding of the concepts by working out some exercises in Business Calculus Demystified. I believe that this experience will help him with other areas of studies too. "The world is changing. The times are changing. New technologies are emerging at a breakneck pace. New markets, new economies. new careers are emerging at a breakneck pace." "A new graduate has to keep 6 or more careers before s/he retires." "Changes are coming more frequently than in the past. And their impact and ramifications are far deeper and more wide-ranging than in the past." "Our age is a complex system and we live in a chaotic world full of black swans and tsunamis." We can refuse to believe them. Or we can accept them. A proverb --- "The more things change, the more they stay the same." Taoism --- The centre is so stable that it is not moving at all. 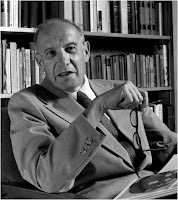 Drucker --- Invention of Internet is comparable to the invention of printing press. Hidden Champions --- Timeless maxims, not business management fads. "Breaking the Windows" --- It seperates boys from men to see which is a trend and which is a fad, a hype. Steve Jobs --- New technology happens very slowly. That 's what I mean by Truth. That the world is stable doesn't mean that it is a bed or roses. It can be stable and stably tough. Then, we believe that past is more stable than the present. Do you think times in 500 BC, 400 BC, 300 BC were more stable than out times? Do we find the people of those times viewed their jobs as stable and static? Did they view their worlds as stable and static? Did they see their worlds as utterly predictable and sort of boring and plain sailing? What do we find instead? That 's what I mean by Truth. The world never was, is and shall be stable. Read literature set in rural backwaters. Do those characters find their lives stable? In that sense, the world is stable. Teach that to your children. Mao Zedong's Guerilla Warfare, So What? From "Code and Pray" to "Crash and Fix"